Rapid Park Industries is a leading company that owns and operates parking facilities which are located across the greater New York City region. Rapid Park Industries was founded in the year 1946 and it has risen to become one of the leading parking services companies that are located in the New York City with its focus mainly on the customer service. 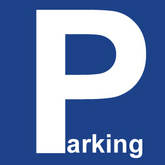 Currently, Rapid Park Industries operates more than 10,000 parking spaces. The company also oversees parking in landmark locations in the New York City such as the Riverside Church, the Lenox Hill Hospital and the New York Presbyterian Hospital. There are currently 0 consumer reviews about Rapid Park Industries available. Share your review. Please take a note that you are about to post a public review about Rapid Park Industries corporate office on CorporateOffice.com. This review will be public, so please do not post any of your personal information on this website. If you would like to contact the corporate offices of Rapid Park Industries, please use their contact information such as their phone number, website, and address listed above to contact them. However, sometimes staff from Rapid Park Industries headquarters do read the reviews on this website.